Kolkata [West Bengal], Jan 16 (ANI): Jadavpur University professor Kanak Sarkar who wrote a controversial post on 'virgin brides' has been divested of his duties with immediate effect on Wednesday. Kolkata (West Bengal) [India], Jan 15 (ANI): Students of Kolkata's Jadavpur University (JU) on Tuesday staged a protest in the university campus, demanding the expulsion of Professor Kanak Sarkar over his remarks made in a Facebook post. New Delhi [India], Jan 15 (ANI): The National Commission for Women (NCW) has taken suo motu cognisance of the objectionable statements made by a professor of Jadavpur University in West Bengal's Kolkata. New Delhi [India], Dec 14 (NewsVoir): The Asian Venture Philanthropist Network (AVPN) the Pan-Asian social investment network, hosted its maiden India Policy Forum, themed Aspirational Districts: Roadmap for Collaboration for Impact, in the capital this month. Kolkata (West Bengal) [India], July 5 (ANI): Students of Jadavpur University staged a massive protest against the authorities, after the latter decided not to conduct entrance tests in six undergraduate arts courses, this academic session. New Delhi [India], Mar 19 (ANI): Vidooly on Monday announced appointment of Mahesh Barve as Associate Vice President, Content Partnerships. New Delhi [India], Jan 25 (ANI-NewsVoir): The 'Bharat Parv' event is being organised by the Government of India at Red Fort here from January 26 to 31, 2018, as part of Republic Day celebrations. Kolkata (West Bengal) [India], Dec 6 (ANI-BusinessWire India): A 23-year old lady from Tripura with a three-year history of effort dyspnea and palpitations was referred for evaluation. Cardiovascular examination revealed continuous murmur at left upper parasternal area. 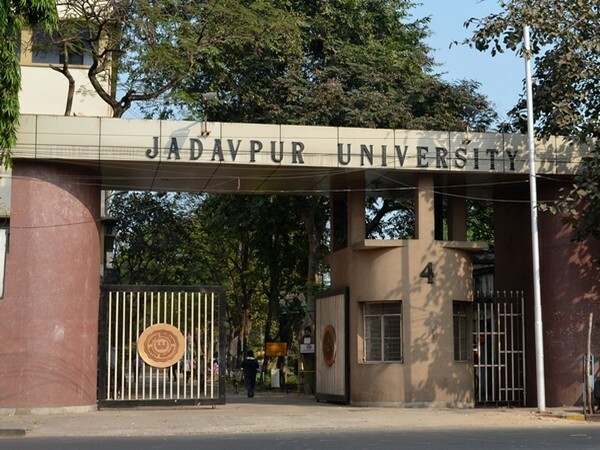 Kolkata (West Bengal) [India], August 11 (ANI): Appealing to students of Jadavpur University to end their agitation, the Vice-Chancellor of Jadhavpur University, Dr. Suranjan Das, pleaded with students to end their agitation as the decision was not in his hands.